After Azerbaijan signed a nine-year contract with Bernie Ecclestone’s Formula One Group in April 2014, at the track’s unveiling a few months later Ecclestone described Baku as “a charming city,” with roads suited to Formula One, and noted that contracts were usually signed for seven years. Azerbaijan was given an extra two and as far as Ecclestone was concerned, the country could host Formula One for as long as the sport existed. So why does Azerbaijan want to host Formula One and what have we got to look forward to next summer? According to Arif Rahimov, executive director of Baku City Circuit, official promoter of the Grand Prix of Europe, interviewed by f1news.ru in May 2015, the reasons were quite simple. Firstly, Formula One will act as a great advertisement for the country due to its huge international fan base. Secondly, Rahimov said, like most countries, we want to tell the world about Azerbaijan, attract tourists. We want people to find out that our country is a great place to travel. 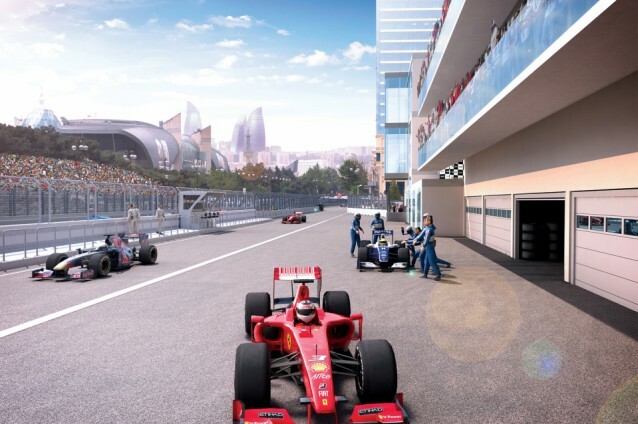 To achieve all this, Baku has opted for a street circuit, following the likes of Monaco and Singapore, to make the event as spectacular as possible, with a track encompassing the major attractions in the city. This made the Azerbaijani offer particularly attractive to Bernie Ecclestone, and perhaps to reflect this, the Baku leg has been given the honorary title of the Grand Prix of Europe, vacated by Valencia in 2012. If you want to enter this world, you have to do something special. Our idea came down to this. We want to do something special, Arif Rahimov told f1news.ru. Fast forward a year since the track’s unveiling and in October 2015 Baku City Circuit confirmed that the Baku course will be the quickest street track on the Formula One circuit and will feature 20 turns and a 2.2km straight along Neftchilar Avenue, where drivers will reach speeds of 340kph. The length of the circuit will be just over 6km, making it the second longest in the Formula One calendar. Statistics aside, the course layout promises to showcase the best of contemporary Baku. 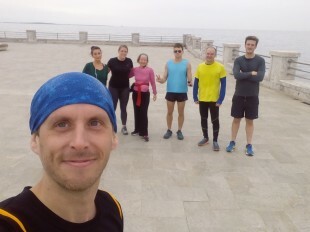 a challenging street circuit, in terms of engineering and design, and one that thrives on Baku’s very attractive urban atmosphere and its great combination of history and 21st century style. 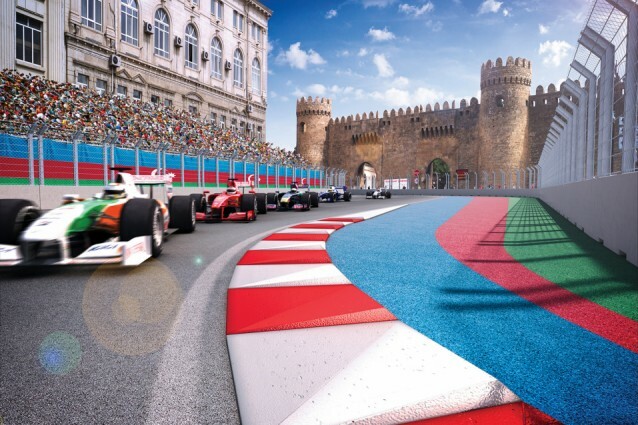 So, in a nutshell, the Grand Prix of Europe will be raced out over an exhilarating street circuit showcasing Baku’s unique blend of ancient and super-modern. Starting on Azadliq (Freedom) Square, drivers will then loop around the gothic Government House towards 19th century Baku and medieval Icherisheher. From here they will negotiate a narrow chicane onto Istiqlaliyyat and onwards towards the Philharmonia. Drivers will then descend Niyazi Street towards the Caspian Sea and onto the final section of the course - the 2.2km dash down Neftchilar Avenue. The final thing to say is that the track will be temporary and two cobbled areas around the Old City will need to be covered with special tarmac in the run up to the race. This and all other road and infrastructure works, including erecting grandstands, will begin in early 2016. Baku City Circuit (BCC) also recently announced it had signed an agreement with the Motorsport Federation of Bahrain, ensuring that Bahraini experts would be helping to organise the Grand Prix of Europe, with the support of the Azerbaijani Automobile Federation (FAA). In practical terms, the experts from Bahrain, which has been hosting the Middle Eastern leg of Formula One since 2004, will assist by providing training and consultancy on track safety, trackside communications and coordinating fire and rescue, medical services and marshals around the circuit. The knowledge gained by our team from the experts from Bahrain will be invaluable over the coming months of planning and preparing for competition on the Baku City Circuit track. The Motorsport Federation of Bahrain has achieved very high levels of organisation and safety at Formula One competitions and the Baku team intends to fully meet these standards. Another country of interest is Singapore, as was highlighted in a September 2015 interview on 1news.az with Nigar Arpadarai, Head of Marketing and Communications at Baku City Circuit. According to Ms Arpadarai, an Azerbaijani group had visited Singapore during the summer to study how the country organised its high-profile street race (under artificial light) as well as its success in popularising the event, a crucial aspect for Azerbaijan. Singapore is a shining example of how holding a Formula One race can help grow a country’s economic potential, especially in the tourism and service industry, Ms Arpadarai said. Preparations passed another milestone on 19 December with the official online ticket launch, timed to coincide with celebrations to mark the six-month countdown to the actual race on 19 June 2016. The celebrations took place on Baku’s Seaside Boulevard and featured live music and fireworks and aimed to whet the appetite of the local population. Ticket options for next summer’s race vary depending on the different locations and grandstands around the track. See www.bakucitycircuit.com for the full range, prices and to purchase tickets. We want races to be held under the flag of Azerbaijan and we want an Azerbaijani team or sponsors to participate. We see potential here. After some time it would be interesting for our country to take part in Formula One races. One thing’s for sure, it wouldn’t be hard to find takers and talent at rush hour in Baku. The 30,000 trackside and 500 million armchair spectators predicted (by BCC) to watch on 19 June 2016 are in for a Formula One treat. This will be more than just a race, so get your tickets while you still can!